Yannick Carrasco is a Belgian professional footballer who plays as a winger for Chinese Super League club Dalian Yifang and the Belgium national team. Carrasco started his football career from Monaco and he had previously played for Spanish club Atletico Madrid. Atletico Madrid signed Carrasco for a reported transfer fee of 20 million Euro in 2015. Carrasco made his international debut for the senior national team in March 2015. Carrasco wears famous shirt number 10. He scored a vital equalizer goal against Real Madrid in the 2016 UEFA Champions League Final. Belgian professional footballer who plays as a winger for Chinese Super League club Dalian Yifang and the Belgium national team. The full name of Carrasco is Yannick Ferreira Carrasco. He was born on 4 September 1993 in Vilvoorde, Belgium. He has a brother named Mylan and two younger half-siblings named Hugo and Celia. His mother, Carmen raised Carrasco and his brother Mylan after his father abandoned them. His mother was a Spanish and father, a Portuguese. In 1991, Carrasco started his youth career from State Everois. In 2001, Carrasco moved to Belgian club Diegem Sport. In 2005, Carrasco joined another Belgian club Genk. In 2010, Ligue 2 club Monaco signed Carassco. Carrasco helped Monaco to promote to Ligue 1 in his debut season at the club. In their first season in Ligue 1, Carrasco helped Monaco to finish runners-up. On 25 February 2015, Carrasco scored his last goal for Monaco against Arsenal in the first leg of Round of 16 of the UEFA Champions League. Monaco won 3-1 at Emirates Stadium. Spanish club Atletico Madrid announced on 10 July 2015, that the club had signed Carrasco on a five-year contract for a reported fee of 20 million Euro. Carrasco scored his first La Liga goal on 18 October 2015, against Real Sociedad. Carrasco became the first Belgian to score in Champions League final when he came on in as a substitute in half-time and scored an equalizer goal in the 79th minute against Real Madrid in Champions League Final on 28 May 2016. However, Atletico Madrid lost the final in a penalty shoot-out. Carrasco scored his first career professional hat-trick against Granada CF on 15 October 2016. Chinese Super League club Dalian Yifang signed Carrasco and his teammate Nicolas Gaitan on 26 February 2018. 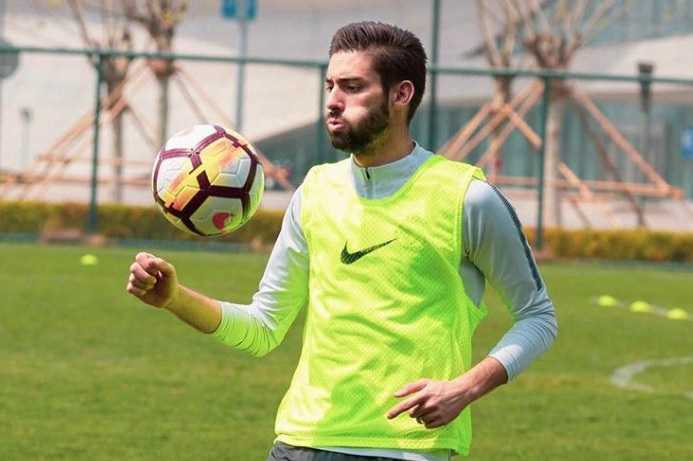 On 3 March 2018, Carrasco made his club debut in an 8-0 loss to Shanghai SIPG. Carrasco has represented Belgium national team under different age levels. He has played for Belgium U15, U17, U19, and U21 national team. Carrasco made his senior international debut for Belgium national team on 28 March 2015, against Cyprus in EUFA Euro 2016 qualification. Carrasco scored his first international goal on 26 June 2016 against Hungary. Carrasco was included in the Belgian team that finished third at the 2018 FIFA World Cup in Russia. The 25-year old midfielder, Yannick Carrasco tied a knot to his longtime girlfriend Noemie Happart in 2017. Noemie Happart is a former Miss Belgium. Yannick Carrasco is five feet ten inches tall. He weighs 71 kg. He has an athletic body build. As of 2018, the net worth of Yannick Carrasco is estimated at $6 million. He has an annual income of $2 million. In 2015, Spanish club Atletico Madrid signed him for a reported transfer fee of 20 million Euro. Currently, he is playing for Chinese club Dalian Yifang. He loves cars and acquires some of the luxuries cars in the world. 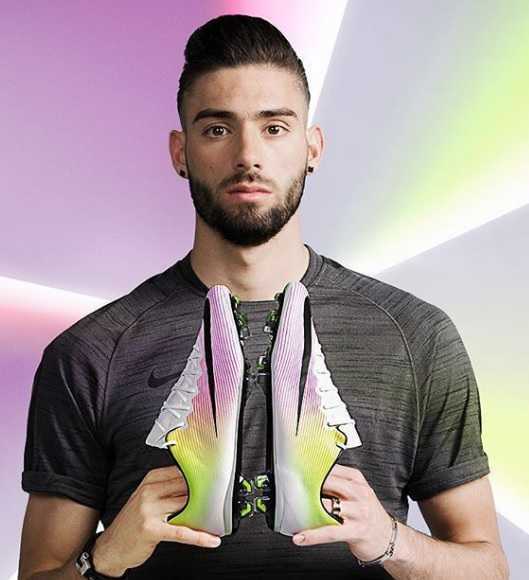 Carrasco has endorsed one of the famous shoe brand Nike. and uses the shoe model of Nike Mercurial Vapor XI FG. Carrasco scored his last goal for Monaco against Arsenal in the first leg of Round of 16 of UFFA Champions League. Monaco won 3-1 at Emirates Stadium. Carrasco became the first Belgian to score in Champions League final when he scored an equalizer goal for Atletico Madrid against Real Madrid in 2016 Champions League Final. Carrasco scored his first career professional hat-trick against Granada CF.